We have designed the portal looking all the aspects of the industry. Our software is an extensive and powerful script in PHP, enabling you to launch your own jobs search portal. This script can be used in setting up a Job Board Site for specific countries, regional Job Site or a general Job Site. Additionally it can also be utilized as a job site. We provide you with the newest features of major employment sites out there. It also helps the back office for the administrators providing full control over the website, structure and content management, detailed user management, statistics and many more. 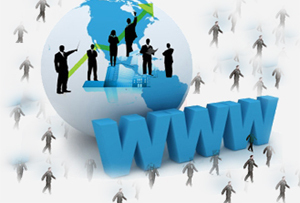 Our Jobs Portal is a web product for running powerful and customized job portals. Our Jobs Portal main feature are front site (fully customizable and template based), jobseekers administration space (with functionality for the users to edit their profile, consult the job offers, manage their resume etc. ), employers administration space (allowing the employers to post job ads, manage their company profile, search the database with the jobseekers resumes and many others) and powerful back office for the administrators (providing full control over the website, structure and content management, detailed user management, search engines reports, statistics and many others). Our Job Portal has three different types of user. Job seekers will be able to search jobs, create and upload multiple CV, apply for jobs online. Employers will be able to create their company profile, post their vacancies and search CV. Admin who can manage the site.